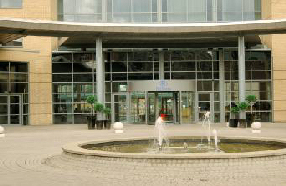 Overlooking the River Tyne, the Hilton Newcastle Gateshead hotel is 10 minutes’ walk from the city centre. Relax in the Executive Lounge or unwind in the gym or pool. Dine on international fare and sip cocktails in Windows on the Tyne Restaurant. The hotel has 10 meeting rooms with wireless internet access.